Ok maybe not actually pains but certainly dilemma’s. 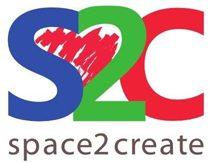 S2C was created on the back of a wonderful charity closing down and the attempts by its service users and volunteers to rescue something of its ethos. We created an arty charity, nearly five years ago. Over that time it has gone from being a small group who met in the back of a Church room to having our own unit, gallery and supporting on average the best part of 100 people in various ways over the course of a week. We have followed the same ethos up till now and it has served us well. One of the strengths of S2C has been the community nature of the organisation. It has always felt like everyone is involved and everyone takes part or has ownership of S2C. Not many people take on specific roles but volunteers and service users support each other to get the things that need doing done. But here is the crux of the dilemma. We have reached a point where it is getting difficult to grow further, there is always the desire to do more to help people and to provide better for those already being helped. We have plans for the immediate future. We have already added an extra drop in partly aimed at carers. In September we are hoping to start a targeted evening group and also having Thursday afternoons with six week blocks of creative writing, drum circle and possibly something else. Wednesday we are working to develop a programme of learning opportunities collaborating with Adult Learning Services ranging from confidence building through to skills workshops and volunteer training. Ultimately though there are three restrictions on growth. People, money and space. Is that all I hear you cry! Er…. People is always a problem for us because of the way we are currently organised. We rely heavily on goodwill from volunteers to take on jobs that need doing. It has worked up to a point as it is flexible, people are not committed too much to one thing and they gain useful skills that help them pursue their own goals and careers. I don’t think it’s my reference writing but in the last three years every person who has been a volunteer with us who has asked for a reference has been successful in getting those jobs (pause while I hunt for a slab of wood to touch). It is sometimes easy to forget that a charity like ours doesn’t just help the people in distress but also the volunteers do gain in many ways. And that is partly the problem as some people want or need to have a specific role and then there is a constant moving on of volunteers who might have become very good at their role with S2C so when they do move on it leaves a very big hole to fill. The obvious answer there immediately starts with having a core of staff paid to do some of the roles. Which brings us neatly on to money. The current climate for grants is extremely competitive at a time when financial resources are slim. It’s out there but the criteria that funders are demanding you meet are getting ever more specific and stringent. A few years ago it was easier to fit the charity into a funding streams categories but it gets more difficult. We generate an income but it’s not massive and does not cover our outgoings now, though it is a massive help. To add the cost of one or two staff members would triple or quadruple our required budget. We are not alone. I was recently talking to the manager of another organisation with staff who admitted they were permanently running six months away from closure and indeed, we have seen casualties in the local charity sector ranging from closures to redundancies as budgets get squeezed. We have always had project funding for short specific projects that have paid to employ somebody to run that project but this is of a completely different order in that it needs funding to sustain a continuous position. Space also relates to money. The more space you have the more money it costs. But then you also start to feel restricted by a space when you have it used to its full potential and maximise the income it can generate for you. So what do you do? Look for a space that is better value? look for one that is bigger that can generate more income? This in turn needs more people to run………. You can see why I am troubled. Shrink or grow? Staying the same never seems to be possible. The nature of funding is that funders, on the whole, won’t fund old things, won’t fund basic running costs but are always looking for the new innovative project to get started. Do S2C want to become a money grabbing treadmill? Want I ultimately want is what I have always wanted S2C to be. Safe, supportive and there for those who need us when they need us. There is no cure……but there is recovery. All I say here is based on my experience, reading and opinions. I can claim some insight due to my own serious and ongoing physical and mental health problems as well as working with vulnerable people with a range of mental and physical conditions. A bold statement but I feel that in most instances there is no “cure” for mental health problems rather a recovery from them with the ability to cope and live with a condition more successfully. A lot of what I hear in the media and from many political voices describe mental health as if it were like a disease that can be medicated or treated to remove it completely. It then sounds contradictory to demand that mental health be given the same standing and resources as physical health but the fact that mental health is increasingly under funded is very clear. There are similarities between physical and mental health. For example a cancer might not be curable but can be managed. I don’t attempt to rank illness side by side or give one more importance but merrily illustrate how the language we use in describing the treatment of illness is used across the board. When you suffer with a serious mental health issue I don’t feel you ever lose that, it has a profound and life changing effect in many cases having consequences far beyond ones own immediate self. How the illness is treated is important because an attempt to “cure” is only ever going to be a short term solution and the same issue may well arise in the future. Alongside dealing with the immediate consequences of a mental health problem there needs to be a longer term view that seeks to give the individual a tool kit to manage and live their lives with that mental health issue safely. Ten to fifteen years ago I was a suicidal mess on the back of years of abuse, depression, self harm, physical illness and self loathing. I was in a state of permanent crisis when I was being treated as it happened simply fighting the fires as they appeared with no real effort to prevent the fires starting. I was interested to read this week of how CBT is starting to fall out of favour because this illustrates the point I want to make perfectly. CBT has been proven as an effective treatment of mental health issues. But not for everyone and not for all conditions. Yet despite this it has been very much the “go to” treatment of mental health in recent times. I know those for whom CBT has been a very successful way to go and also other, including myself, for whom it was a disastrous process. The inability of the decision makers to see beyond the current big thing can often lead to the over and inappropriate use of a therapy or treatment it seems. I now hope that there is not a back lash against CBT that sees it denied to those who would benefit from it. The danger of this desperate “one cure fits all” approach is that those for whom it is not appropriate or successful get pushed out and left with no options often ending up in a vicious cycle of inappropriate therapy and long waiting lists. The sad thing is that, often at the suggestion of GP’s, individuals then seek private therapy which is very expensive especially when you consider a person needing such treatment is unlikely to be working. I ended up down this road and to be honest for me it worked to a degree. It worked because I ended up with a Forensic Psychologist in a place I never expected to be going but in the end it turned out that the person had exactly the right skills, not to cure me, but to sort me out a strategy for survival. They looked at all the issues. They looked at what I was about and what made me function. They noted my art and it became a big part of our sessions. I was supposed to have six but down to their goodwill that ended up being 18. What I came away from that with was a strategy for getting along with life. It was, and is, part medication, part creative, part self care and having the tools to cope when things go downhill. I don’t believe enough of this happens on the NHS. Working to find solutions to individuals mental health issues that comprise a range of strategies and therapies that enable that person to be safe and functioning. More importantly to be happy. Space2Create is just one strategy. I would be a fool to suggest it would be right for everyone. It works for some people. For a few it can be life changing. That brings me to the second report that caught my eye this week. This time from a parliamentary select committee reporting that creative activity has proven health benefits. Good grief, please catch up! We have been telling them that for goodness knows how many years! My fear now is that creative activity becomes the next CBT. Eager politicians looking for an underpopulated bandwagon jumping to make it available and pressuring GP’s to prescribe it. As always the same dangers as with CBT arise. It may not be suitable for everyone or be effective for everyone so don’t make those for whom it is not undergo it just because there is no other option. Please somebody put in place a person centered balanced approach to the treatment of mental health that is sufficiently funded to be effective and end the chain of misery being dealt out to thousands of individuals suffering because of inadequate support and provision. Oh and please do give S2C some money! I found myself reflecting this week on the chaos that is our timetable. Well not chaos just getting fuller. Mondays is taken with the Whinfell Group, for adults with learning difficulties and currently an NHS Mental Health course. Soon we also hope to start a stressed professionals group in the evening.Tuesdays we have two drop in sessions for mental health and one for carers. There is also a meditation group meeting at the unit in the evenings. Wednesday we have been doing volunteer training and a Jewellery making course. There is the CMHT Decider training all afternoon along with a massage therapist into the evening. Thursday there is the textile drop in and soon the afternoon will hopefully have a rolling programme of creative writing, drum circle and possibly others in six week blocks. Friday is our WellArt drop in and afternoons sees the Dementia Group. The unit is also hired on and off for odd meeting by the Comic Art Festival team, Morcambe Bay Partnerships and a Buddhist Group. Of course there is always an exhibition on and weekends are looking under threat too! Not forgetting the exhibitions in local doctor surgeries and the leisure centre. Suddenly you start to think things like “we need a bigger building!”. Or another building. Its tribute to all the hard work put in by the trustees and volunteers that S2C has gone from borrowing a room in a church to what we are now. In December it will be our 5th Birthday! Thank you for all your support, we continue to offer support to the vulnerable in our community and to support others supporting the vulnerable. Short and sweet this week. I am now off to Scotland to sit on a cliff with a sketch book and some oil pastels for a week. I leave my able volunteers in charge though the social media updates might get a bit wonky! The wonderful artwork from this week! One of the large chunks of important things S2C does is about reducing isolation in people who are vulnerable. Many get the completely wrong idea when we talk about isolation and have a picture of somebody hiding in their home never coming out or communicating, being locked away and never seen. This is why isolation is such a dangerous thing. A person can be completely isolated in the middle of a crowd or a group of friends. There are instances where a vulnerable person has locked themselves away, but we also need to be aware of people becoming isolated who we see daily, who we may say hello to or smile at. Maybe even chat to. Isolation comes upon you, often slowly but almost without realising. I can speak from experience, been there, got the t-shirt as it were. My road to isolation was mental health related but there are many different reasons it might happen. For me, serious depression and suicidal thoughts eroded confidence and my ability to communicate with the world or engage with it. It is a much used cliché but the idea of building a wall around yourself is quite literally true, a very strong mental wall to block out what you perceive as causing you pain and fear. I could walk through a building where I worked, speak to people, say the right things but without actually engaging, making eye contact. You withdraw from society, stop going to things, stop responding. The danger is it is so gradual that maybe sometimes people don’t notice. It’s easy to say you’re getting busy or have other commitments you don’t. In this state it is easy to offend or distance friends. An inwards destructive cycle on top of whatever issue was causing you to become isolated in the first place. For me, I almost became a ghost of myself, there and able to be seen but almost not real. In some ways it has become easier to isolate ourselves. Social media is a great tool for hiding. Giving the appearance of being active, responding to contacts. “I’m Fine” is easy to write in a comment and it means you don’t need to see or speak to anyone. So S2C helps with this. Whatever your reason for being isolated, it is very difficult to recover from it without help even if the underlying cause has been resolved. S2c provides a safe place where there is no obligation to anybody there. You come as an individual in crisis and you are among people who understand that and have or are going through the same thing themselves. There is no obligation in the sense you are coming to a group away from family or a circle of existing fans. Within the group you can take those steps towards reducing isolation, becoming part of the group, building relationships, relearning those social skills that allow you to engage with others. Improving confidence and opportunity enable people to go back to their lives and use that confidence. It’s not easy. To be isolated or to spot a friend who is isolating themselves. If you are worried about somebody then the solution may not be dragging them for a night out. Sometimes just being there, listening and keeping in touch is enough. Oh, and there is art too! Give me three good reasons…….. This week I have been very much reminded of why I do what I do in running S2C and what everyone who helps out is doing it for. Three instances, just those stand out moments that make you think, well yeah it has been worth doing it. It has been one of those weeks where as the week has gone on I have been personally struggling with pain mainly because I have been pushing myself to make sure things were done, covered or happening. Those times for me are a reminder of how many people feel who are in pain. Not just physical but mental too. It makes you want to give in and do nothing, isolates you as you hide yourself away and to begin looking inwards, reducing your contact with the outside world. That is not in any selfish way because those who are in the role of carers do an amazing job and often sacrifice much of their own life to carry out that caring role. Foe these people having a time to themselves to do what they want to do is very precious and also essential in helping them keep going with their caring role. That moment showed me that this group was the right thing to do. Second time was at the end of the week in the morning when some of our service users had been off screen printing in a studio round the corner funded by the Heritage Lottery Fund in a project with Sedbergh School Archive. One service users who I know has been going through a really bad time and often looks fragile and terrified of being out was part of those printing. As they left at the end they were smiling (a really genuine smile which we have not seen from them for a while) and said “I really enjoyed that”. Job done. Finally, at the same session, there was opportunity to continue printing over lunchtime and into the afternoon. The artist they were printing with has been fantastic with all our people. The individual is very nervous and lacking confidence and we could see they were hitting that run moment, the basic instinct to fight or flee, but the artist very calmly reassured them and even supported them to get some lunch before coming back to print some brilliant artworks. Although the individual was still nervous we could see that this was a big step for them in trusting and building confidence. I guess I am the fourth example of why or how S2C helps. Because I can cope with and manage pain to do it in bits and pieces at odd times and when I feel up to it. For me without it I would be very isolated and quite probably deteriorate with my own mental health. S2C is run for everyone that goes there and everyone that goes there has some part of it as it develops into a community supporting each other.